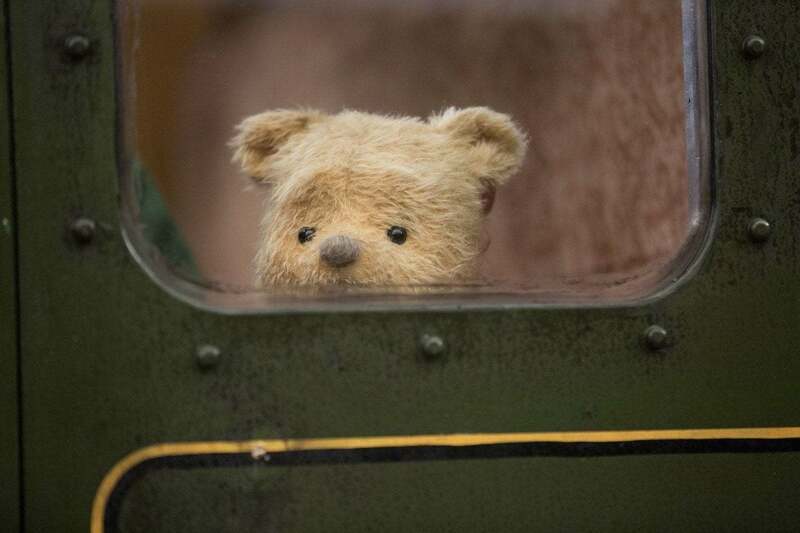 Playing the part of Christopher Robin’s wife was a role that wasn’t made for just anyone. Director Marc Forster had to find the perfect person…a female who was strong, empathetic and able to portray a mother who loved her child unconditionally and a wife who supported the trials and tribulations of her husband. Hayley Atwell took this role and made it shine. From the moment that Hayley Atwell entered the interview room where myself and 24 other bloggers sat, her confidence and belief in her role in the Christopher Robin movie were immediately evident. I was invited to participate in the #ChristopherRobinEvent press tour. This interview with Hayley Atwell is part of that event. All opinions are my own. During the interview, we had asked if Hayley Atwell had seen the movie yet. How did Hayley Atwell become involved in the project? It all started with a phone call from Director, Marc Forster. 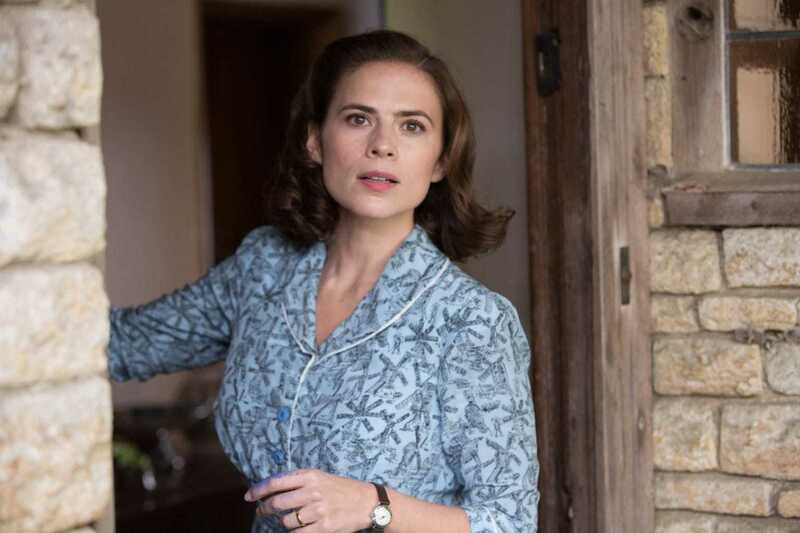 Was Hayley Atwell able to bring home sentimental souvenirs from the film? 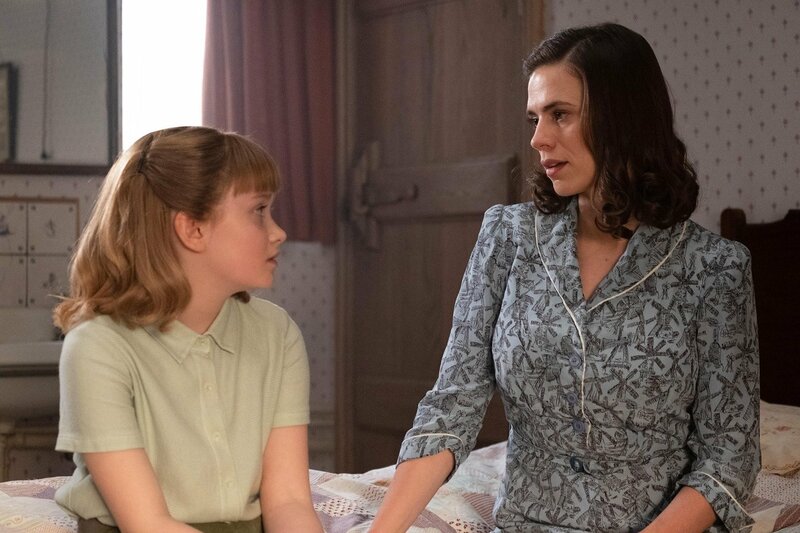 Did Hayley Atwell have a favorite character as a child and what about today? What is Hayley Atwell’s favorite Pooh piece of wisdom? Yes, I saw it by myself and I started crying in the opening credit. What I felt coming out, was the feeling of what a wonderful antidote this film is at the moment because without it being too sentimental it’s quite profound as the books are. When I was reading them as a child there’s this kind of sweet, endearing quality about it…. it’s just something that’s very refreshing. It’s basically saying you’re enough and I just wanna hang out with you as you are. I’m a big fan of it. 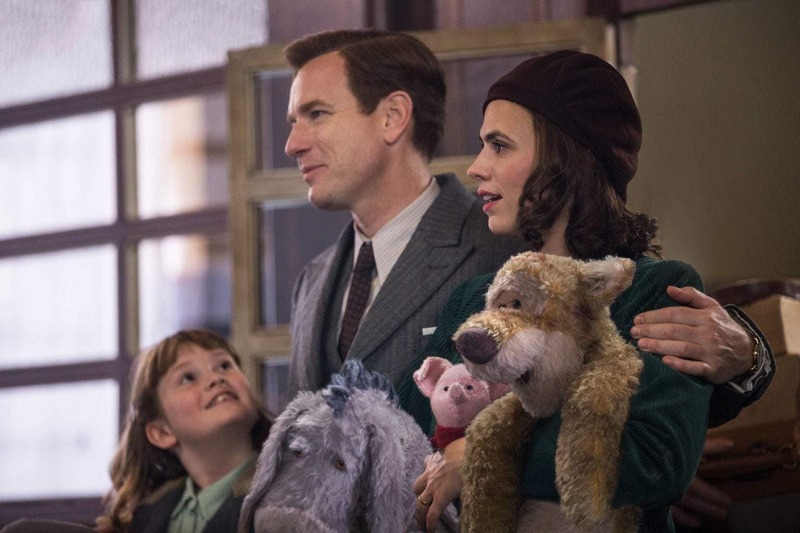 Hayley Atwell plays Evelyn Robin in Disney’s heartwarming live action adventure CHRISTOPHER ROBIN. How I became involved was when I was on holiday (vacation) and I got a call from my agent. He said, Marc Forster is directing Christopher Robin. Will you skype with him? I said yeah of course. I have quite an erratic reception here in the ocean so I went to the captain and I said I need to find a spot where I can skype someone and he said you see that rock over there. I went yeah, yeah. He said, go passed that for about ten minutes and you’ll find a spot. So I got my life jacket on, got on a jet ski…I went very far until pretty much couldn’t see any form of civilization and then I was able to get reception. I never met him before and answered, welcome to my office. [LAUGH] It’s just how I work here. So we broke the ice that way. He was talking about how he wanted to tell a story that was classic to the philosophy of Pooh Bear that everyone knew so that these characters are familiar to everyone. Evelyn had compassion to know that this man who’s come back from war, who’s struggling to provide for his family, whose heart’s in the right place but he’s struggling within himself rather than anything that she could probably criticize him for and she’s taking on the pain of what’s happening to her child as well. So rather being unsympathetic…she is taking care of her own feelings and experiences in this. She is feeling lost and left behind by her husband but knows that he is in a lot of pain as well. Such an instant, and powerful phone call and connection that Hayley Atwell and Marc Forster had about their very first discussion of Christopher Robin and his vision he had for the film. From there, Hayley Atwell would play the role as Evelyn Robin. Evelyn is not passive. She doesn’t sit there, allowing things to happen but she also doesn’t attack Christopher for it. I think she’s aware of the complexities of his situation and also being heartbroken about the effects it is having on her daughter. Also, not wanting to turn her daughter against her father as well. I think for me that was a very emotionally intelligent character choice to make and one that was much more realistic. I think that’s what parents have to do and what they struggle with. …I’ve seen it with my god children and their parents and the people in my life who have kids. That dialogue of, how do we help our children navigate these very emotionally, tricky times with an open heart still and able to process pain in a loving and healthy way. So I think although this is a good children’s movie it does touch on things that I think families will identify with as well. Well, I think there wasn’t any pressure because Evelyn’s not in the books and so this was a new character. I wasn’t having to create something that was already well known….I walked in feeling very much in safe hands and because also you have, Jim Cummings who’s been our Pooh since the 80s. I have that incredible privilege to work with him. As soon as I heard Pooh’s voice I went oh, he’s here. Oh, he’s here. Yeah, there was I think a very gentle kind of atmosphere on set. We had a nice time and we had Jenny our amazing costume designer. She would come in and she’d go oh, have you seen the stuffed animals. They’re just darling. This is the happiest job I’ve ever done. It’s you can’t really do a film like this and have a bad time. You cant. You know, if you were to have a grump I think someone would be like having a bit of a [UNINTELLIGIBLE] old day, you know. There was a gentle quality to it because the material — I’ve always found whatever the material that I’m working it does seem to bleed over to the atmosphere of the set in between takes and so this was a summer spend in Ashton Forest with a bear of a very big heart so we were all oh, it’s great. Yeah, we had a nice time. Yes, I recieved two souvenirs. I was given was the gramophone which is really beautiful and that’s in my living room but then weeks after we wrapped up the movie, I got a package in the mail. Marc Forster had commissioned the art department of the film to paint me a beautiful painting of Pooh and my dog. You see, my dog was on set every day. He would come into the rehearsals with us and he would sit on some of the set and he would just be one of the animals. Marc adored him and would always say, bring Howard. My dog is very calm and very quiet so he had quite a therapeutic effect in the workplace. Marc had this painting done for me of Howard and Pooh in matching red sweaters. It was really cute. I think in a way all the animals are different versions of ourselves based on the day, the week, the circumstances, or moods that we’re in. I think I always found Piglet to be just totally adorable and so vulnerable and it always made me want to kind of reach out and look after Piglet……Pooh is just pure love without an agenda…. 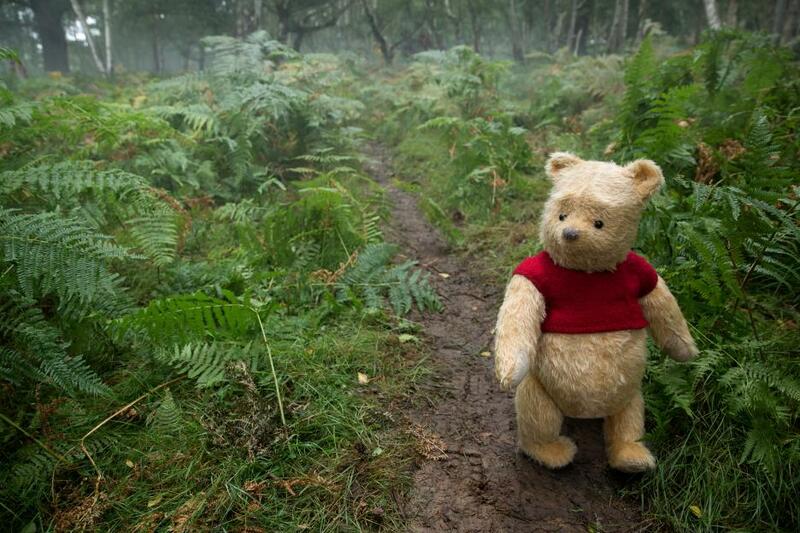 Piglet, Pooh and Roo in Disney’s live-action adventure CHRISTOPHER ROBIN. …Pooh processes pain like a dog would in an unconditional way. 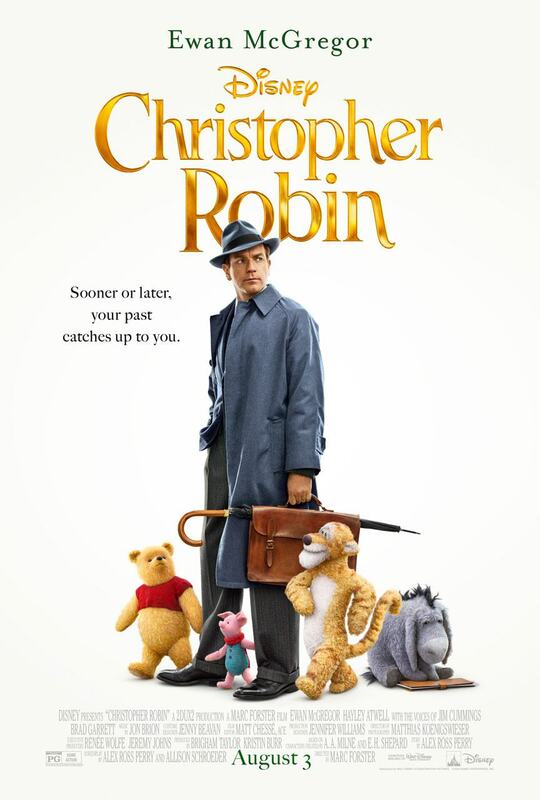 Instead of attacking back, being defensive about things, or finding ways to seek revenge…he just absorbs that pain but still loves Christopher Robin. That seems to be a very human quality between people that love each other and a very necessary quality to our own civilization and for our own sense of belonging to each other. The ability to absorb pain from someone who knows that they can cause us pain but see beyond that…. That made me fall in love with Pooh. When Pooh says…Nothing is impossible but I do nothing every day. I find doing nothing is really hard. There’s this constant need for living where there seems to be now such a praise and celebration for productivity, perfectionism, attaining goals, achievement and success….It seems to be sometimes not the healthiest response to a world that seems to want so much of us that we can’t ever be enough. So that quite in itself of, you know, in the humor of Pooh not really understanding what he’s saying and what that actually means. He’s actually saying the profound thing which is he is able to just sit with himself and it can be enough, that life itself is enough, and that we’re enough. 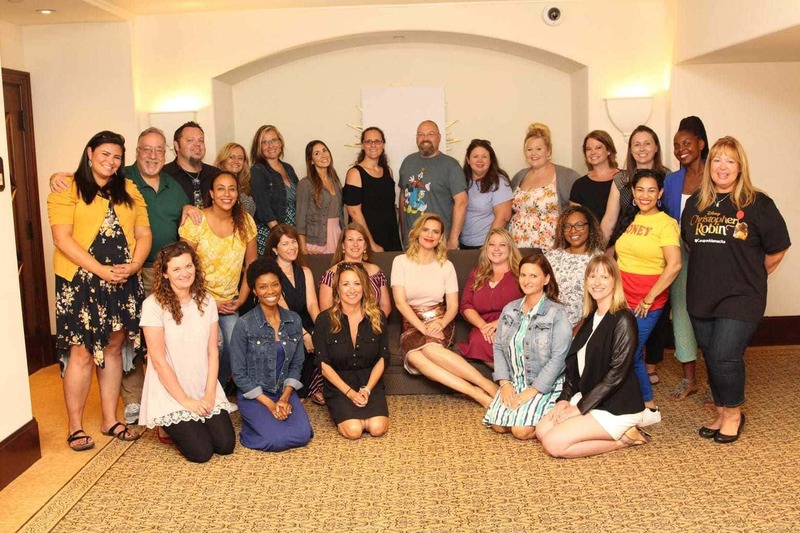 Myself, along with 24 other bloggers, were invited by Disney to attend the #ChristopherRobinEvent to watch the premiere, interview the cast, and share our experiences with you. All expenses were paid and all opinions are our own.